Healthy Families New York (HFNY) is always looking for ways to improve practice using our program data. In the service of this goal, we have done a number of studies on special topicsâ€”detailed investigations of topics that are not part of our standard performance measures but are deemed of particular importance to the program and the families we serve. Promoting optimal child and family health and development is one of HFNYâ€™s primary goals. Encouraging breastfeeding is one of the ways that HFNY works to achieve this goal, since breastfeeding is associated with many positive outcomes for infants and mothers. We studied program data to examine how HFNY encourages breastfeeding and found that the number of home visits a family received and the percent of home visits in which breastfeeding was discussed were associated with a greater likelihood of a mother initiating breastfeeding and continuing to breastfeed for at least six months. These findings suggest that frequent discussions about breastfeeding, both pre- and postnatally, are very important for encouraging breastfeeding initiation and continuation. HFNY currently conducts a â€œtwo-stepâ€� enrollment process whereby one worker assesses a family for program services and another worker provides services and ongoing support. The Family Assessment Worker (FAW) conducts the Parent Survey (PS) to inform a familyâ€™s eligibility for services as well as their needs and strengths. If a family is deemed eligible for services, the information from the PS is shared with a Family Support Worker (FSW) who then visits the family. While this â€œwarm handoffâ€� recognizes the different skill sets needed for assessments and home visits, some families may find it difficult to connect with the FAW only to be told she will not be the person providing services. In contrast, other Healthy Families programs utilize a â€œone-stepâ€� or â€œcombinedâ€� enrollment process whereby the same worker conducts the PS and maintains the family on her caseload. In this process, the PS is only used to collect information, not to determine program eligibility. This provides continuity for the family and allows for rapport between the family and the home visitor to be established early. In 2015, HFNY formed a â€œCombined Enrollment Committeeâ€� to research this process. After conversations with one-step programs to discuss the benefits and challenges of combined enrollment, it was decided that a pilot project should be conducted to determine the utility of this process for HFNY. The pilot project involves three sites across NYS. The first site began the pilot in January, 2018; the second site began in June, 2018; the third site is scheduled to begin in the fall of 2018. Each site will participate in the pilot for about three years. This will allow enough time for an analysis of enrollment and retention rates pre-and post-combined enrollment. Prior to beginning the pilot, all workers at the sites are being cross-trained (to conduct assessments and home visits). Workers are also being trained on the â€œWelcome Family Visit,â€� in which the HFNY worker provides the family with additional information about the program, engages the family in a fun activity, and answers any questions. Throughout their participation in the pilot, sites will be provided with support from the Central Administration team; the pilot is viewed as a collaborative effort, with ongoing feedback from the sites. Was staff receptive to the pilot study? Why/why not? Did newly trained workers feel comfortable conducting assessments and home visits? Why/why not? How did workers feel about the Welcome Family Visit (benefits, challenges etc.)? What, if any, barriers were encountered in moving to a combined process? Did the timeframe between screen and enrollment decrease? Findings from the evaluation will inform any needed changes to the model and will determine whether or not HFNY should move to a combined enrollment process statewide. Results obtained from the HFNY Randomized Controlled Trial demonstrate the positive benefits of enrolling families early in pregnancy. As a result, HFNY has embarked on additional studies to identify ways to increase the early prenatal enrollment of families. Exploration Phase: The Central Administration team convened an Early Prenatal Enrollment workgroup to examine the HFNY screening and assessment process. The workgroup examined program data on screens and assessments and surveyed staff to discuss their enrollment practices. Based on this information, the workgroup made the following recommendations to increase the enrollment of families early in pregnancy: (1) simplify the screening form, (2) focus the target population, and (3) develop supporting materials to engage community stakeholders. Pilot Phase: A pilot project was developed to assess the effectiveness of implementing the recommendations proposed by the workgroup. Five HFNY program sites were selected to implement a new screening form, analyze their enrollment processes, and communicate with community agencies about the benefits of early enrollment. HFNY program staff and community referral partners found the new screen form easier to use. 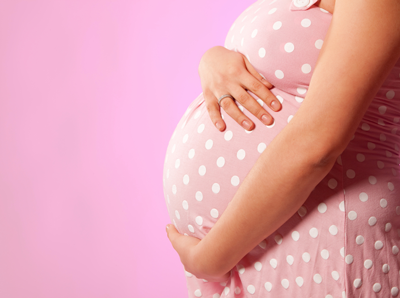 Program sites also increased their efforts to engage with community partners to obtain prenatal referrals. As a result, most of the pilot programs saw an increase in the number of families who were screened and enrolled prenatally. The new screen form was subsequently implemented statewide. Implementation Phase: Following the statewide roll out of the new screen form, a study examining prenatal screening, assessment, and enrollment was conducted with six program sites. These sites were provided with technical assistance to discuss difficulties with prenatal enrollment and to develop strategies to overcome any challenges. Subsequently, three sites increased prenatal screens, and four sites increased prenatal enrollments. Findings suggested that developing good working relationships with community partners providing prenatal care, especially WIC programs, was important for increasing prenatal screens. Family support specialists were surveyed about their work at the three randomized controlled trial study sites in 2002, seven program sites in 2005, and 10 program sites in 2006. We used the data from these surveys to examine the processes related to FSS burnout. We found that family support specialists who perceived their organizational climates to be more positive (i.e., lower work pressure and higher emphasis on planning, efficiency and getting the job done) experienced lower levels of burnout. These results were due, in part, to FSS's having greater empowerment or control over their jobs. These results suggest that both work climate and FSS empowerment are important factors to assess and address when attempting to reduce burnout and staff turnover. A survey of family support specialists at all program sites statewide was completed in 2014. The survey was designed to gain a better understanding of the experience of workers and to find ways to improve or optimize their work environment. Approximately 85% of family support workers responded to the survey. We found that age, education, and program proximity impact staff retention. We are currently preparing to conduct another survey of family support specialists. The primary goal of the survey is to better understand worker roles and workload, obtain updated demographics, and capture reflections on work environments. This survey will include both FSWs and FAWs to determine if workers in these two roles have similar or different experiences at their programs. Research continues to emphasize the important role that fathers play in promoting healthy child development. 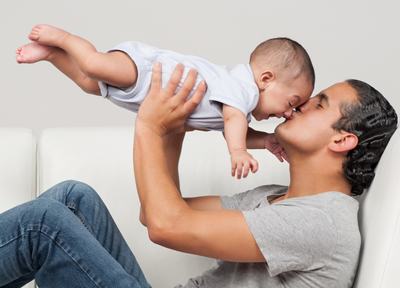 In 2007, HFNY began a focused effort to promote the development of a father inclusive culture and increase involvement of fathers in all aspects of home visiting. Initial exploration of our data determined that we were not adequately capturing fathersâ€™ participation in home visits. This led to a revision to our data collection forms and our management information system. We subsequently undertook additional analyses to learn more about how fathers are involved in HFNY. We found that father participation in home visits has increased since the beginning of our Fatherhood Initiative. In 2007, 13% of visits had a father present, compared to 19% of visits in 2015. We learned that when fathers are present from the very beginning of services, they participate more frequently. Families where fathers attend visits also remain enrolled in the program longer than families with fathers who did not attend any visits. Additionally, father involvement in visits influences family stability, with participating fathers being more likely to remain in or move into the home. These findings suggest that programs should focus their efforts on engaging fathers from the very beginning and requesting their presence during the assessment process and at initial visits. Family support specialists should be educated as to the benefits of father presence, family stability, and how to balance engaging fathers against concerns they may have about issues like domestic violence.